Through her teaching, counsel and financial support, Doering played a vital role in helping Buddhism flourish in the West. 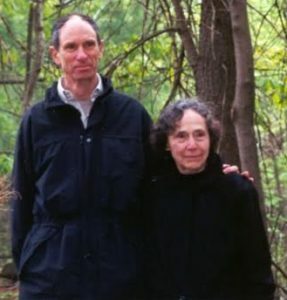 The Insight Meditation Society (including the Forest Refuge,) the Barre Center for Buddhist studies, Spirit Rock and Cambridge Insight Meditation Center either took original life or new, transformed life as a result of Sarah’s generosity. Over the years, these centers have been able to offer retreats and life-transforming opportunities to tens of thousands of people from around the world. After graduating with a Ph.B. from the University of Chicago in 1947, Doering studied for a year at Radcliffe College before marrying John Marshall Bullitt, a graduate student who became a professor of English literature at Harvard. The couple had four children, whom they raised for many years in Harvard’s Quincy House, where John served as House Master, entertaining thousands of Harvard students, faculty, staff and guests of the university. After this marriage ended, Sarah married William von Eggers Doering, a professor of chemistry at Harvard, in 1969. 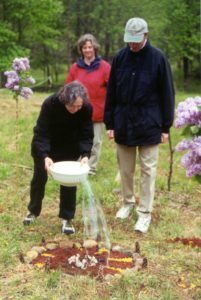 The following year, she registered for a nine-day silent retreat taught by Rosenberg at Insight Meditation Society, marking the beginning of a profound and enduring relationship with IMS, its founders, teachers and extended community. Before long, Doering was sitting IMS’s annual Three-Month Retreat, which she sat for some 17 years. Doering decided to help the group secure a regular meeting spot. With her support, they eventually bought a run-down, single-family house in Cambridge. After extensive renovation, the Cambridge Insight Meditation Center opened its doors in 1985. In the mid-1980s, Doering’s contributions enabled the purchase of a vast parcel of undeveloped land in northern California that became the home of Spirit Rock. 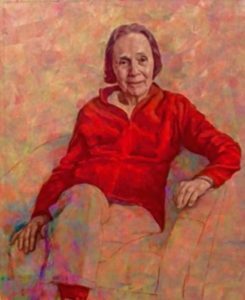 The same decade, she helped to fund the Barre Center for Buddhist Studies, a non-profit educational organization committed to integrating Buddhist scholarship with meditative wisdom.  Another gift to IMS enabled construction of the Forest Refuge, a retreat facility for experienced meditators who devote themselves to sustained, long-term practice for periods of up to a year or more. When the Forest Refuge opened in 2003, Doering moved into one of its cottages and lived there for several years. She taught meditation at the Retreat Center, the Forest Refuge and Cambridge Insight. She also served on IMS’s board of directors.